WSLL Team Picture Day April 27th, Rain or Shine! Team pictures will be taken on April 27 at the Rolling Valley Elementary School (Barnack Drive - map) RAIN or SHINE. It is mandatory that you have your team pictures taken on that day. Picture order forms are attached. We did our best to schedule with lead time before games and with lag time after games, but is nearly impossible with 60 teams to assign an ideal time for everyone. If you have any questions contact me at baseballfan9@verizon.net. Now that the season is underway, WSLL has some great opportunities over the next month for a free throwing clinic. We would like to welcome all AA players to this clinic to help develop their throwing mechanics. Please RSVP on the signup genius below and I look forward to seeing everyone there! Pick one session or come to all three!! Dine Out at Class 520 After the Game! each day from 5:00 pm to 9:00 pm. Please announce this to your team and hopefully people will come out to support the league and enjoy some ice cream, especially after all of these first games that are coming up. Kick off the season with some handcrafted rolled ice cream! Please join us for Little League Day at Nats Park on Sunday, April 28, as the new-look Nationals take on Manny Machado and the Padres at 1:35 pm. Reduced-price tickets are available at the below link. Everyone who buys tickets through this link will be eligible to walk the perimeter of the field before the game, and all kids will be invited back to the field after the game to run the bases. This is not a fundraiser for WSLL, and we are passing all the savings on to you. We have ticket blocks in three areas. Last year we sold over 500 tickets. As a result, the Nats invited WSLL players onto the field before the game to throw out the ceremonial first pitch and to announce “play ball!” We’ve been promised similar opportunities this year if we bring the same kind of numbers. So, please get your tickets right away. This is a great experience for everyone. Hope to see you there! If you have any questions, please email me at mwarbel@gmail.com. Essentially, if the helmet is, or needs to be, modified in order to accommodate the attachment (drilling of holes, removal of padding, etc. ), it will make the helmet unsafe and void the manufacturer’s warranty. Accordingly, the helmet will not be legal for use in WSLL, and will be removed from play. Our umpires are aware of this guidance and will be checking specifically for head protection that does not appear to meet these standards. If you are considering a C-flap helmet design for your child this coming season, please plan on purchasing a helmet that already has this guard in place or buying an approved attachment that is warrantied by the manufacturer. 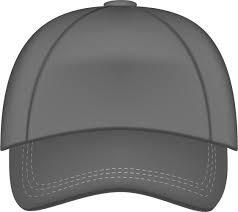 Additionally, as the C-flap attachment is not required equipment per Little League guidelines, WSLL will not be issuing helmets that meet this design. West Springfield Little League would like to thank Panera for hosting the League dine out on Tuesday, March 5, 2019. We would also like to thank our WSLL families and friends for participating in the dine out. Panera donated 20% of the sales to WSLL! Thanks again to everyone that helped make this dine out a success. 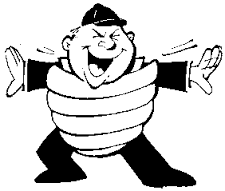 Registration for the WSLL 2019 Spring Baseball season is now closed (as of Jan 15th at Midnight). No new registrants will be accepted. 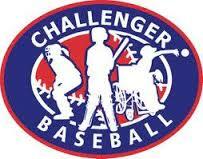 Springfield Challenger Baseball is a division of West Springfield Little League for children with special needs. We have three divisions: Little Challenger for kids 12 and under, Majors for teens, and an adult division. It is managed under West Springfield Little League in cooperation with Central Springfield Little League and South County Little League. Springfield Challenger will open the 2018 Fall season with an eight game schedule beginning on Sunday September 9. All games for our three divisions will be played at West Springfield Little Leagues Byron Ave. fields. Games are played on Sunday afternoons between 1pm - 3pm. If you're interested in playing or volunteering please visit http://www.springfieldchallenger.org/ for information. WSLL Families, without volunteer support it is not possible to provide the full baseball experience to our children. There are several opportunities to assist the league to provide the best experience possible. Please select the link below to see a list of ways to volunteer. WSLL is currently organizing for the upcoming season and is soliciting the business community for sponsors. Sponsor financial support is a necessary and critical element to the successful operation of our league. Please email Todd Haley if you have questions. WSLL Board of Directors Needs NEW Members!! If you are interested, click on the links below to find out more information and the required forms. External links are provided for reference purposes. 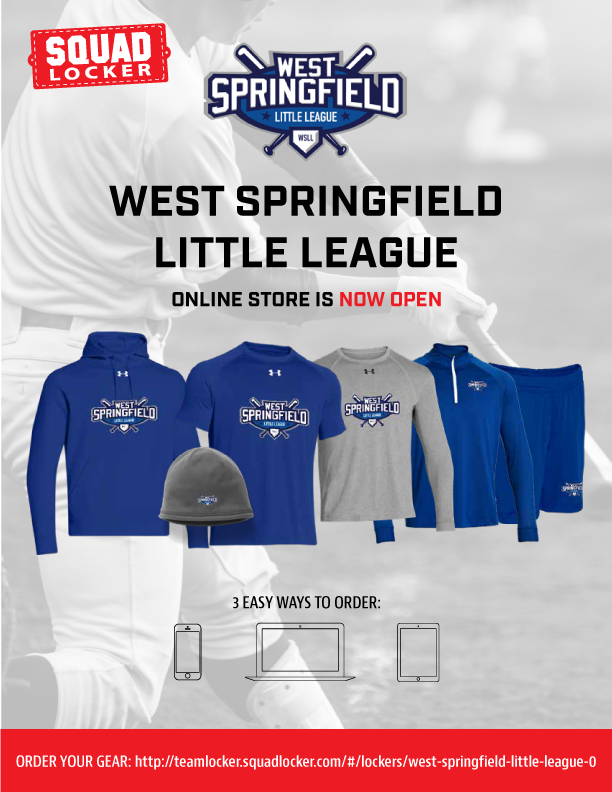 West Springfield Little League is not responsible for the content of external Internet sites.